A corrective action plan is comprised of different activities that must be planned and implemented in an organized manner. For you to ensure the high usability of the corrective action plan, you have to look into the step-by-step processes that you need to follow when drafting and as well as when executing the content of the document. If you want to achieve the outcomes for resolution that you expect from the document’s usage, you have to be precise and direct to the point when listing down and putting together all the information that you would like to discuss within the corrective action plan. 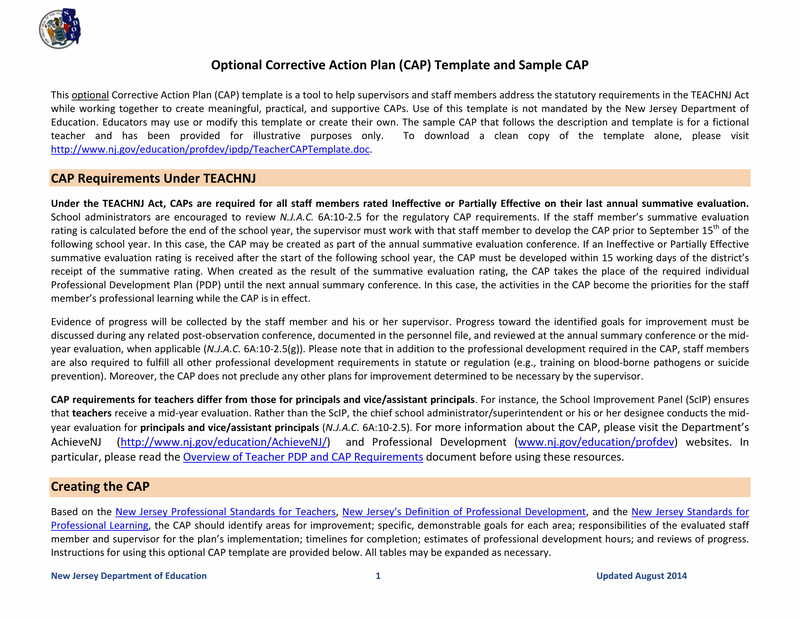 A list of downloadable corrective action plan template examples in PDF is available for you to browse through in this post. Use any of these examples as your references so you can create an impressive corrective action plan that is well-formatted and properly presented. Corrective action plan examples play a vital role in ensuring that the processes and transactions of the business as well as the behavior of its stakeholders are at par with the quality standards set by the organization. Having a comprehensive corrective action plan is very important as it corrects wrongdoings, addresses abusive and unacceptable actions, and develops activities and programs to target the improvement of weaknesses. 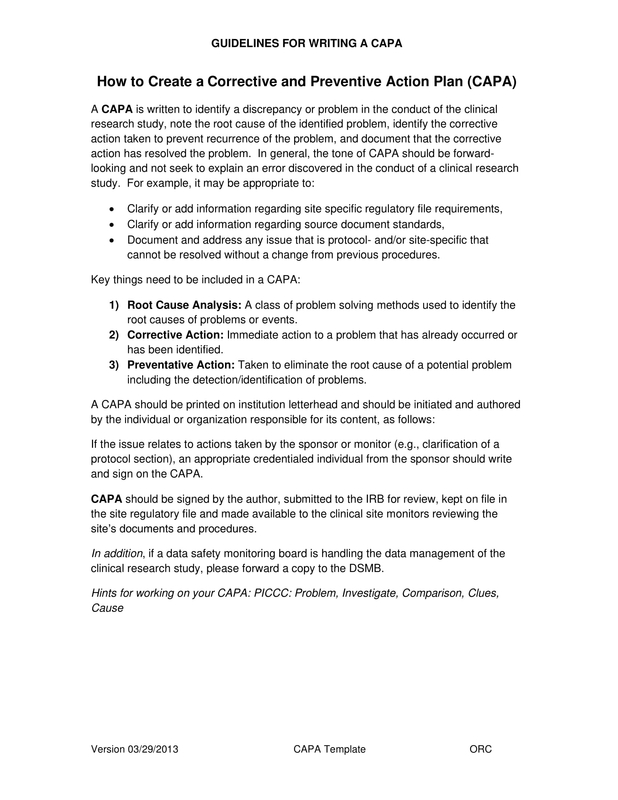 Listed below are the steps that you can follow if you want to write a comprehensive corrective action plan. Describe the problem at hand. You have to clarify the situation that needs a resolution or a corrective action. With this, the root cause of the problems, concerns, issues, or weaknesses must be identified accordingly. Specify what is currently happening and present the effects of the current situation with the condition of the business and its operations. List down all the things that you think are helpful in fixing the problem. Have a vision of the output that you would like to have with the help of the corrective action plan. Ensure that you will use firsthand information when gathering evidences and proofs which will be the basis of your strategies and action plans. Establish the appointment of the key persons who will be responsible for the actual implementation of the corrective action plan that you will develop. It is important for these people to be trained accordingly so that they can execute their work functions, responsibilities, and obligations accordingly. 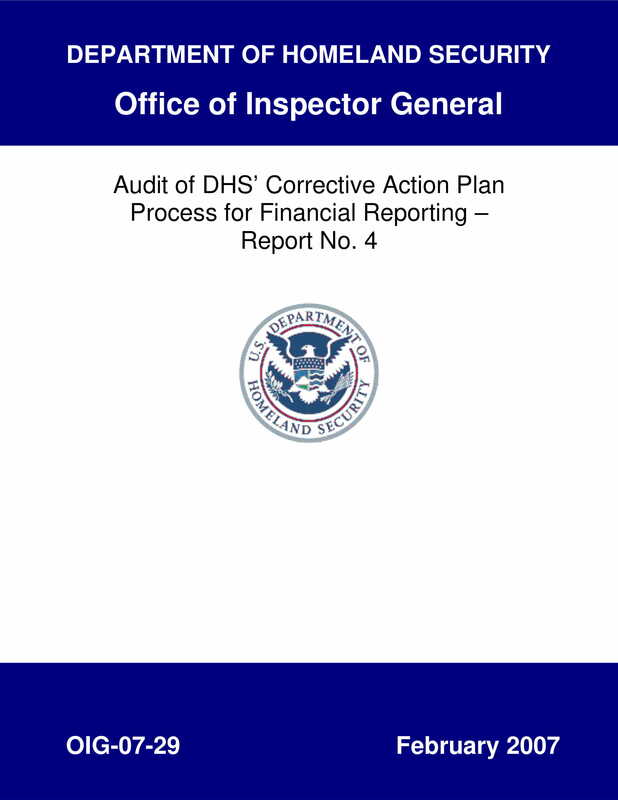 It is also recommended if you will provide them with the guidelines and instructions when it comes to reporting developments and maintaining the standards of the corrective action plan usage. 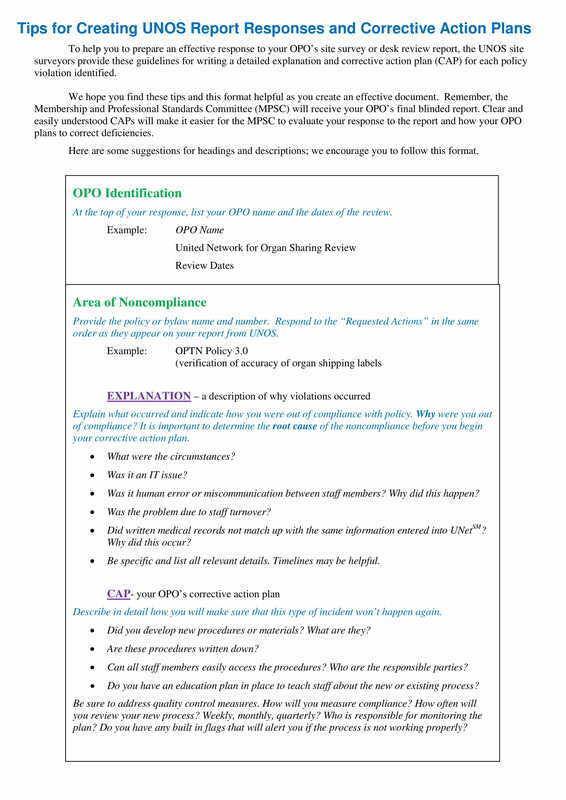 Once you have already identified the problems, developed an initial list of potential call-to-actions, and pointed out the people who will be involved in the processes of corrective action plan implementation, it is now time for you to narrow down the selection of solutions so you can come up with the specific and measurable answers for your concerns. Always consider the root cause of the problems of the business as well as the reason why it is necessary to execute corrective actions. Ensure that you are aware of the regulatory requirements that you need to consider when developing a corrective action plan. More so, you have to look into the resources that you will be needing to meet these requirements and for you to fully execute the content of the corrective action plan that you have made. Start measuring the attainability of the solutions that you have finalized within the corrective action plan. Make sure that each solution specified in the document must be observed by an accountable individual. All the obligations and work duties must be segregated or designated accordingly for the business to ensure that there are people who take ownership of both the implementation and reporting of particular corrective actions. It will be great if you will create a timeline that all entities involved in the corrective action plan usage can follow. You have to set time frames where activities are needed to be done as well as the deadlines in which results are already expected to be present. Making a corrective action plan that is time-bound can help you make processes be done whenever they are needed or whenever it is necessary and scheduled to do so. One of the things that you should never forget is the creation of the measures for evaluation. It is essential for you to monitor and track the progress of your business and its operations with the help of the corrective action plan that you have made. Reviewing the results or impacts of the corrective action plan can help you identify the level of the document’s effectiveness and efficiency of usage. 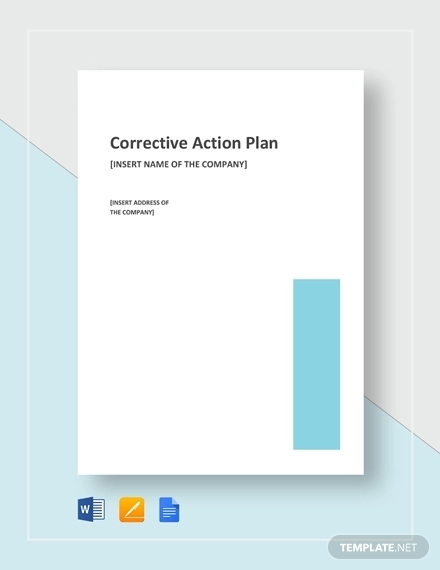 Why Do You Need a Corrective Action Plan for Your Business? A corrective action plan can minimize the repetition of deficient, irrelevant, and harmful business practices. This goes not only with the programs of the business but also the means and ways on how the workforce and other stakeholders of the company execute their work processes. Having a corrective action plan at hand can help eliminate repeated actions that can only negate the objectives and goals of the business. A corrective action plan helps businesses identify the call-to-actions or solutions that will work best for the problems and other concerns that they are faced with. With the help of this document, it will be more efficient to implement the activities and regulations that can correct the errors that occurred and the root causes of these errors’ existence. A corrective action plan will allow your business to achieve the stage, level, or condition of operations and management that it would like to get in the future. With the usage of a detailed corrective action plan, you can specifically look into the improvement strategies and tactics that you would like to incorporate in particular activities and circumstances. With this, you can be more focused in the observation of your highest areas of business or corporate priority. 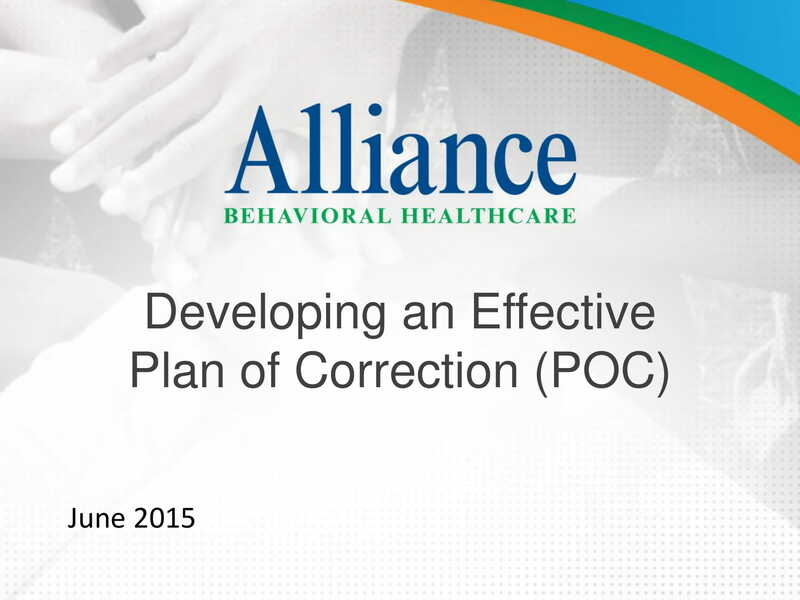 A corrective action plan does not only focus with the problem at hand. It also deals with the improvement and development of the methodologies, processes, and programs that are currently used by the business to ensure that all the outcomes of business management and operations will provide effective results. Doing this can lessen the potential of problems to arise and for the usage of the corrective action plan to be more aligned with the vision of the business. 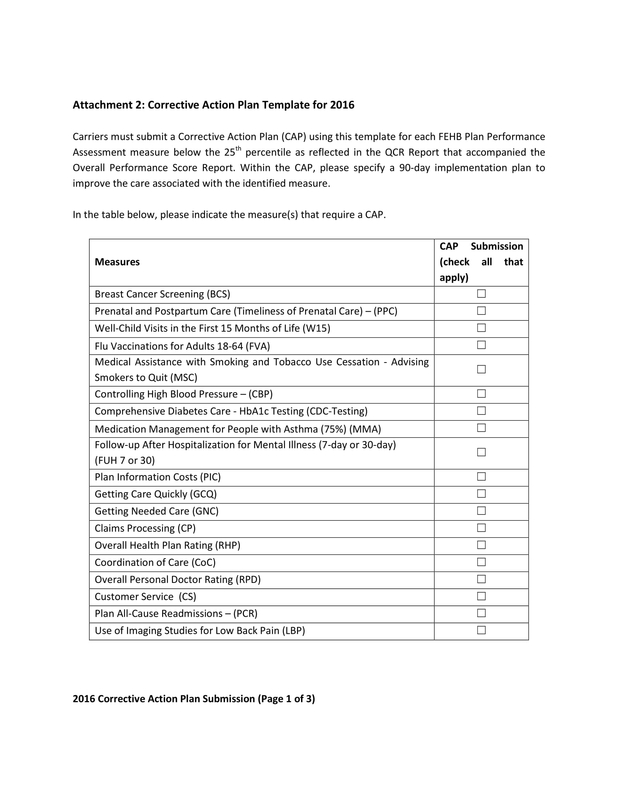 Just like wellness recovery action plan examples, it is imperative for your corrective action plan to provide the concise and precise information about the plan of action that you would like your organization to follow. If you can create a complete and clear corrective action plan, you can experience a lot of benefits from its actual usage. Listed below are some of the reasons why it is important for your business to develop and use an effective corrective action plan. 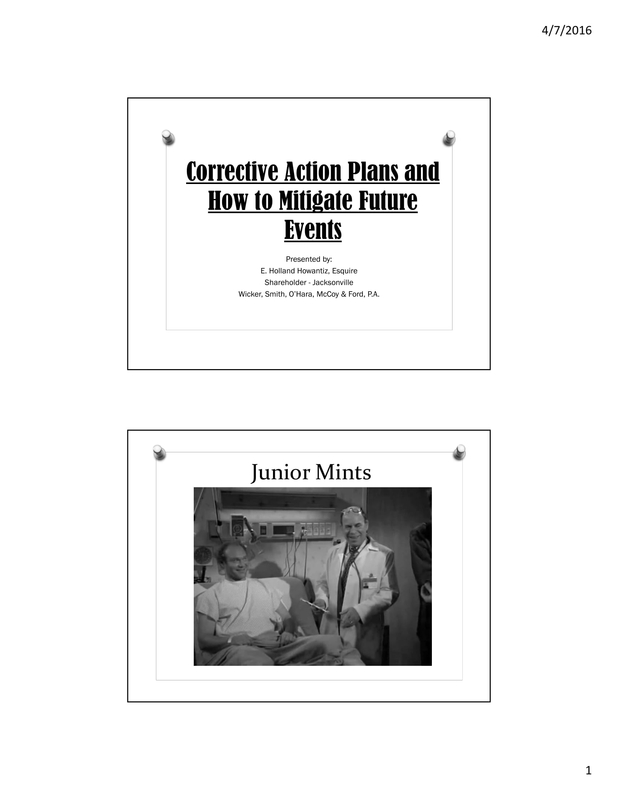 Making a corrective action plan can ensure the management that there are efficient and well-thought-of corrective actions that are readily available to be implemented whenever there are circumstances that arise in which these call-to-actions are needed to be executed for the benefit of the business. 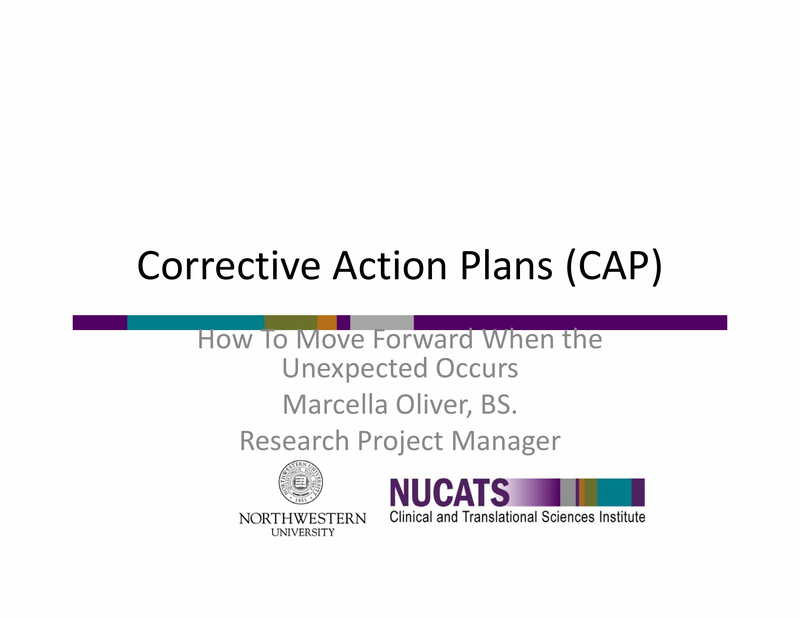 Creating a corrective action plan can provide the metrics in which the proper implementation of corrective actions can be evaluated, assessed, and recorded. 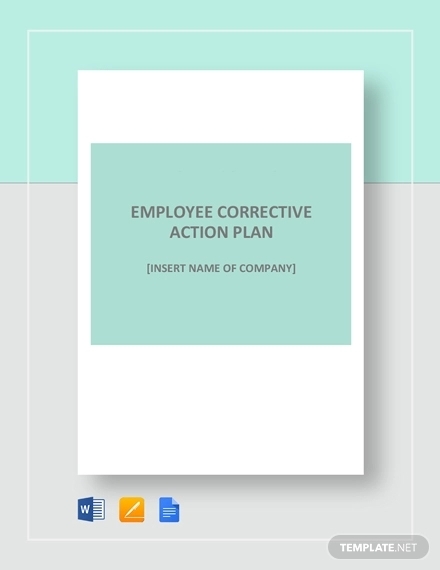 With the usage of this document, it will be easier for key persons to identify the proper usage of the corrective action plan and the best ways to incorporate corrective actions in particular situations. Using a corrective action plan can serve as a reference whenever there is a need to manage, update, monitor, or change the corrective actions used by the business or any areas of the current plan of action of the company in relation to the specified matter. This can promote the continues evolution, development, and improvement of corrective actions based on the growth of the business and the requirements that it needs to adhere to. Developing a corrective action plan can present the development of the programs of the business. If you will create a corrective action plan, you can reflect the framework in which all the entities within your operations are expected to be proactive and efficient members of the business. This can give an idea about the things that are needed to be done should rules be broken or if protocols and other regulations are disregarded. Ensure that the team members or point persons that you will train for the corrective action plan usage have the abilities, knowledge, and interest with regards the specified matter. Doing this can help you maximize their deliverable to easily identify deficiencies in your work operations or any errors within the work environment. You have to be thorough when developing the corrective action plan. Do not just look into the surface of any problem or issues. You have to look into the core of their existence so you can develop action plans that are effective and can truly serve as the solutions for your concerns. Do not take any shortcuts as this can sometimes worsen the situation where your business is currently at. 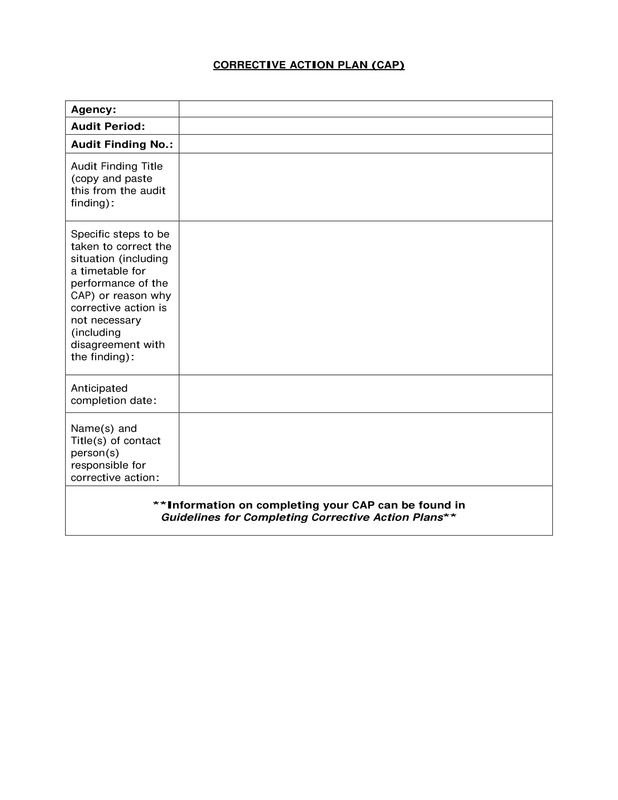 We recommend the usage of templates when developing a corrective action plan. This can lessen the presence of errors, misleading information, or details that can be easily misunderstood. Moreover, this will allow you to have a presentable and well-formatted corrective action plan which can also reflect the quality standards that you incorporate in all your business documents. Brainstorm with your team and ensure that you will evaluate the entire document before, during, and after its actual usage and implementation. 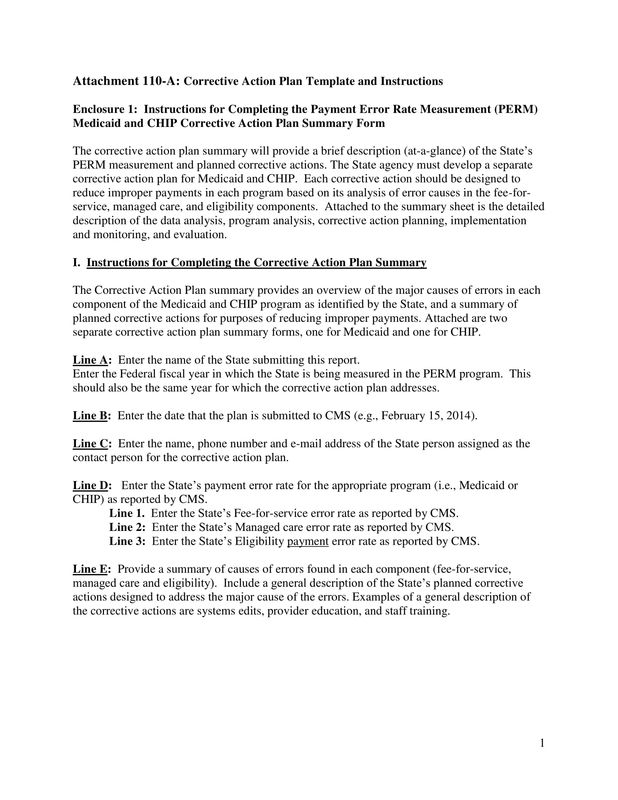 Again, do not forget to download any, if not all, of the corrective action plan examples that we have provided you with in this post. Having references can help you a lot when it comes to the proper development of your corrective action plan’s layout, presentation, and content. Try to make a corrective action plan now and execute it whenever there are issues and concerns that you need to address in the workplace.